Tables are pieces of furniture we cherish and value in our everyday lives as our families and friends gather around them to celebrate our time together. At Amish Furniture Factory, we believe in offering our valued customers the highest quality and most attractive handmade, hardwood tables available that will be with your family during the best of times, for generations to come. Our beautiful handmade wood tables provide a surface for the parts of our lives to unravel, and for this we recommend you settle for nothing less than the best. In our Amish tables category you will find tables for many rooms in the home including dining room tables, pub and bar tables for the kitchen or bar area, occasional, sofa, entry, coffee and end tables for the living room, patio tables for your lawn, garden and patio area, dressing tables for the bedroom, game tables for the entertainment or game room, and kid’s tables for the playroom. Tables play such an important role in our lives; we find purpose for them in nearly every room of the home. While each type of table is designed specifically for the room it is to occupy, the basic purpose of each table is fundamentally the same. This purpose is to provide a sturdy surface for which we can complete a variety of tasks to accomplish goals. 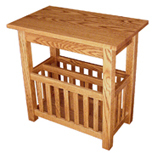 Amish kitchen tables are the heavy load workhorse of our Amish table category. The big challenge that is posed for Amish dining room tables is to accommodate enough seating for the a family, while also retaining an ability to grow in size to allow for enough seating space to accommodate a family, plus two or three families together. Of course the table has to be incredibly strong to withstand years of chairs, heavy plates, dishes, or sharp forks and knives colliding with its surface while also dealing with the weight of these objects and the weight of people leaning all over the table while seated or standing. Our solid hardwood Amish dining tables are specially built for this domestic battle that will last for decades or longer. The bases of our Amish dining and kitchen tables are where the secret lies. Amish dining tables for both indoor and outdoor tables are available with four main base types, and each type aptly contributes to the names of the tables for easier identification. These base types include the trestle dining table, the single pedestal dining table, the double pedestal dining table, and the leg table. The tops of our Amish dining tables are designed specifically for its particular base to maximize the overall strength of the table as a whole. The most important factor in the design and construction of the handmade wood tables is the appropriate use of material. Every Amish dining table we sell is built with hand selected hardwoods that when combined with the ingenious table designs, has the ability to withstand many times its own weight. The trestle table is the strongest, second the double pedestal, and the single pedestal and leg tables are neck and neck in third place. The immense density of trestle and double pedestal tables gives them their strength, while also trading off lightness in weight and ease of handling. They also can pose more problems with their bases obstructing chair legs and seating capacities. Leg and single pedestal dining tables, on the contrary, trade of a bit of strength for an un-obstructing base, and easier mobility. The remaining types of tables Amish Furniture Factory offers, while not faced with as large of a use and abuse factor, are built like tanks as well. Amish game tables, kid’s tables, or Amish bar and pub tables share many of the same base and top designs as their big brother, the dining table, and for their size, the strength to weight ratio for these tables is nearly as high as. Occasional, end, coffee, sofa, entry and dressing tables simply don’t need the sophisticated engineering designs and mass Amish dining room tables have. The demand on these types of tables is much lower, so they are therefore designed with more of an aesthetic appeal.